This model was originally designed for Gorkamorka. 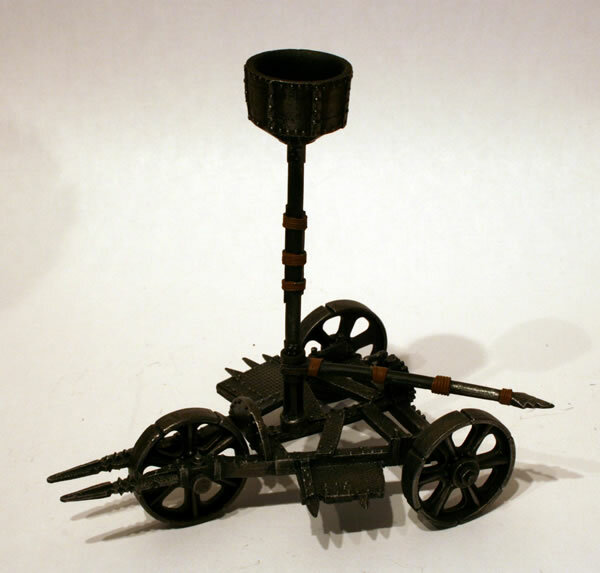 I originally bought this model for my Flintloque army. I have noted that this model sells quite well on eBay, as do the other models from the Gorkamorka range. I would still like to try and get a Grot Lugga as I quite like that model. 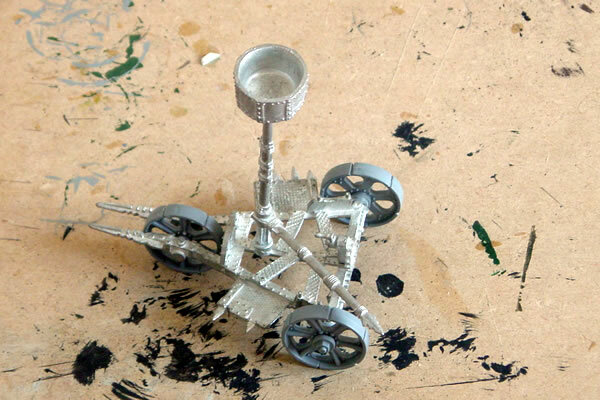 I am intending to use it with my Warhammer 40K Ork army as an alternative buggy. 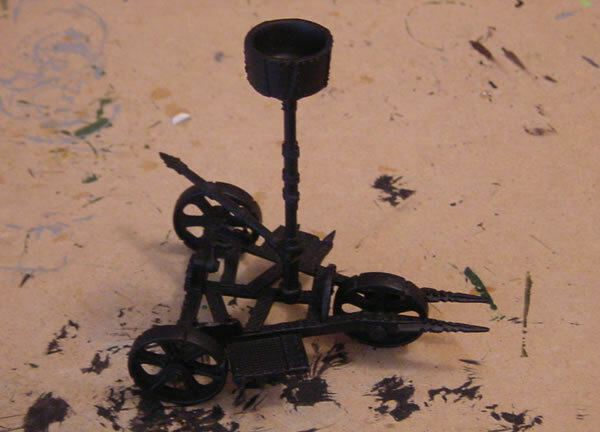 The model originally came with two rear rubber tires, I decided (as it was a fantasy napoleonic army) to use the WH40K metal wheels. I have kept them as I think it looks better that way. I undercoated my Cutta with black paint. I have drybrushed by Grtot Cutta, first with a heavy drubrush of Tin Bitz, followed by a lighter drybrush of Boltgun Metal. 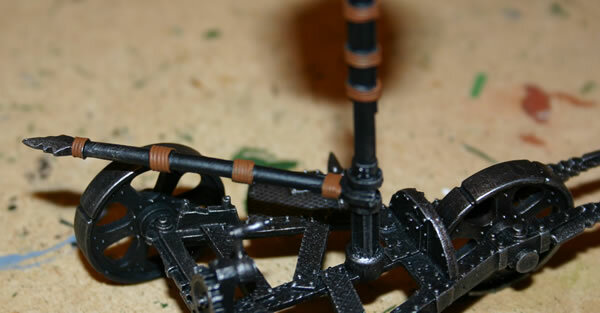 I have now added the brown ropes on the mast and boom. I will then be painting the mast and boom a dark brown. 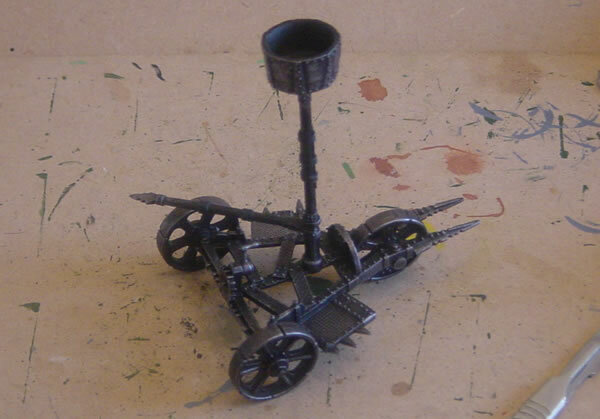 Another view of my Grot Cutta.